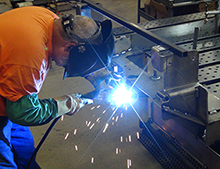 We have high speed, state of the art metal fabrication equipment that is best suited for repetitive, low-to-high volume and high-mix production runs. 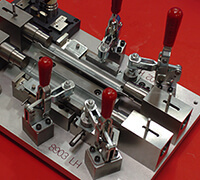 As a complete tool and die shop, we are skilled in all areas of fabrication including fiber laser, CNC punching, CNC bending, CNC forming, welding, CNC machining, hardware insertion and assembly. 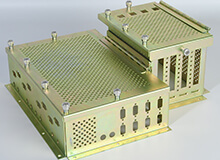 Wisconsin Metal Parts, Inc. provides pre-production prototypes for your functional testing. With our well-equipped manufacturing systems, we can make your prototypes using laser cutting, machining or die-struck parts, depending on your needs. 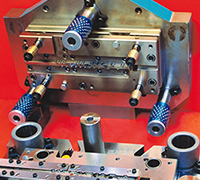 Our stock tooling may also give you better value. All of this is performed in-house. 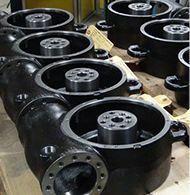 Wisconsin Metal Parts, Inc.’ CNC machining services feature personalized customer service for made-to-order parts and components. 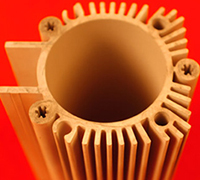 We offer turning, milling, drilling, tapping, boring, and grinding for a variety of materials. With turning capabilities that exceed that of most other companies, we have bar feeding capacity to 3” diameter, a swing of 25.60”, and can turn parts up to 40” long x 14.30” in diameter. With the addition of our Amada Meister V3 production surface and form grinder, WMPI can grind a wide variety of components and shapes with minimal operator attended time. This equipment has a working area of 6.0” x 18.0” (longer parts can be accommodated with multiple setups). 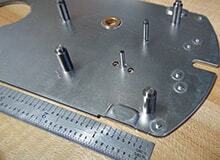 We regularly work to tolerances of .0001" in size, shape and flatness. Wisconsin Metal Parts, Inc.’ custom metal stamping services deliver precision metal stampings from prototype through production quantities. We run stampings up to .188” thick, but our specialty is high-volume, tight tolerance, precision stampings in a variety of materials from .003”-.060” thick. Our presses have full feed lines and are die sensor protection ready. We run nearly 60 million stampings per year at a 98% on time delivery rate. 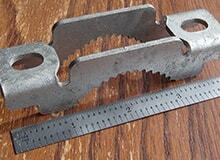 Wisconsin Metal Parts, Inc. designs and builds all tooling in-house. Our design and engineering team uses the most up-to-date forming and stamping simulation software to help you validate the final design before building the die. We can assist material selection and identify potential problem areas to help you best design your metal part or assembly for manufacturability. 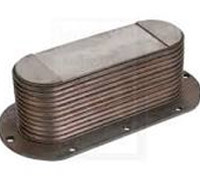 Working with any electrically conductive material up to 16” thick, Wisconsin Metal Parts, Inc. supplies wire electrical discharge machining (WEDM) services for parts such as die and mold components, nozzles, keyways and actuators. 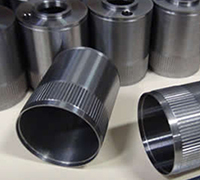 In addition to tool steels, we are experts at cutting carbide, have equipment dedicated to cutting carbide and can run 24/7.